Sweat up a Storm with Kia Kaha ! Kia Kaha is Bangalore’s one of the leading MMA academy where developing the skills and attaining the utmost perfection is the ultimate moto. We at Kia Kaha focuses purely on combat training and improvising on techniques that helps one to master the ring. Kia Kaha , is an MMA academy that pivots on overall skill enhancement for everyone at multitude of class options and also with different training methodologies. We proffer training for MMA, Striking and Grappling. At Kia Kaha, every person can find something for themselves. We also provide Young Talent Training for children and Self Defence Classes for Women. Nevertheless, our trainers are all national level fighters and at Kia Kaha we train with the best to be the best. Kia Kaha is present at three locations in Bangalore i.e at Kormangala, Indiranagar and Sarjapur. It’s more than an exercise ! This form of combat sport includes Skills that are used for stand up fight and includes punches and kicks. Boxing, Kick Boxing and Muay Thai are some forms that we train in. Grappling includes Skills that are used for takedowns , ground fight and close range hand to hand combat, chokes , submissions and more. Wrestling and Jiu Jitsu are under the umbrella of Grappling. MMA includes fighting skills that includes stand up fight and ground fight. The main objective is to make an individual capable of defending in any situation. We dare to be the best ! An MMA athlete is the most complete athlete: stamina, strength, endurance – he/she has it all. It boosts your self-confidence, motivates you, teaches you humility. One of the best and fastest growing combat sports in the world, Mixed Martial Arts it’s a full-contact sport, which allows both grappling and striking – both standing and on the ground. After reading all the review I am 100% sure kia kaha is best mma gym ...sir I am from rajasthan so any chance You can open a gym at rajasthan ????? I've been training at Kia Kaha for over two years now. It's truly the best MMA Academy in Bangalore. I had visited other centres before joining here, but none of them even remotely came close to Kia Kaha. Nischal is a first-class fighter, an excellent trainer, and an incredible person. He's always there to train you hard, to motivate you, to help you become more resilient than you were in your last class. Having said that, he demands discipline at all costs, expects you to give your best at all times, and expects nothing less than great attitude towards your training partners. The facility is outstanding with all the necessary equipment to sweat it out and learn the skills. I couldn't be happier with my decision to join Kia Kaha MMA Academy. One of the best decisions I've ever made in my life. As a beginner with no martial arts background, Kia Kaha is great place to start with all types of combat sports. Trainers are good and experienced, ready to help whenever required one on one. Opportunities provided to showcase your skills learnt. Kia Kaha has provided an amazing learning experience. The trainers are the best at what they do. I recommend Kia Kaha for the experience and their understanding of the sport. We believe everyone is a fighter, but not everyone is aware of it. It takes the right kind fight to bring out the fighters in them. We intend to do just that: to bring out the fighter in you! 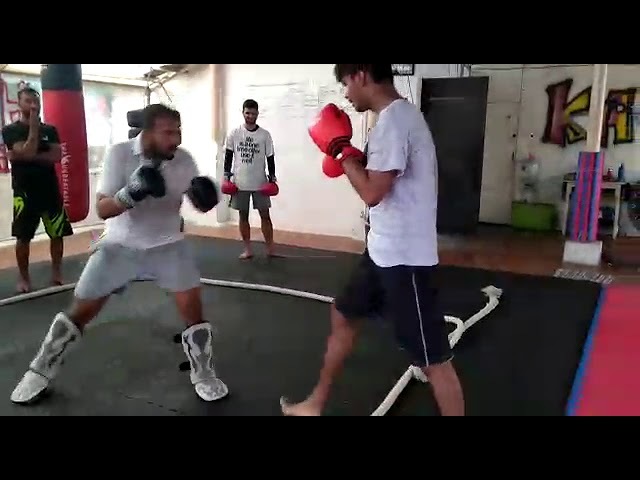 Here is a glimpse of one of our Fight Sessions at Kia Kaha MMA academy between our head trainer Nischal Kelamane and Mintu Burman. 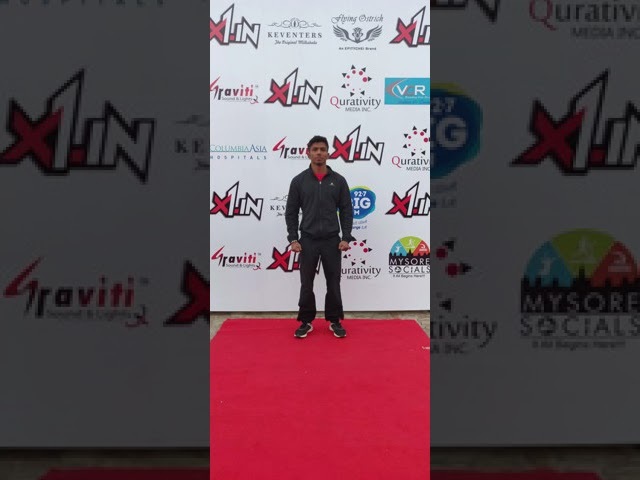 We experienced an enthralling fight night , X1 International on 30th March and it was one of the kind of experience. Great teams and greater fights. Also, have a sneak peak into our complete event ! Kia Kaha has trained over 1000+ fighters in MMA, kickboxing, boxing, wrestling, Jujutsu & Muay Thai. Visit www.kiakaha.in or call 740689935 to book your FREE TRIAL classes at Kia Kaha - Bengaluru's No.1 MMA Academy. Our Branches: Koramangala, Indiranagar, Sarjapur Road. Call at 74068 99355 | Visit http://www.kiakaha.in/ to book your free classes. "I am a champion, I am the best. I am a champion, I am the best. I am a champion, I am the best." #Champions are made in the ring. Fight for Respect, Live for Glory. Breathe Passion, Hunt Success. Become a part of Team Kia Kaha - Bengaluru's No. 1 MMA Academy and together we will achieve impossible!